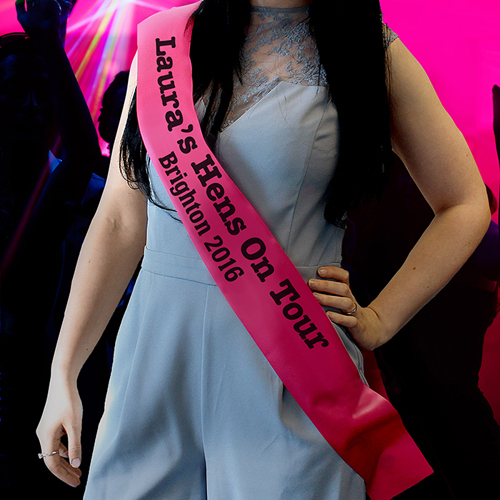 Stand out from the crowd in this funky fuchsia 'Any Message' Sash. They are a great addition to a Hen Night, Birthday, Baby Shower or Prom! The sash can be personalised with a message using up to 2 lines of 30 characters per line. Personalise with a message using up to 2 lines of 30 characters per line.